Lazing on the grass in a glade of trees with your family and friends. 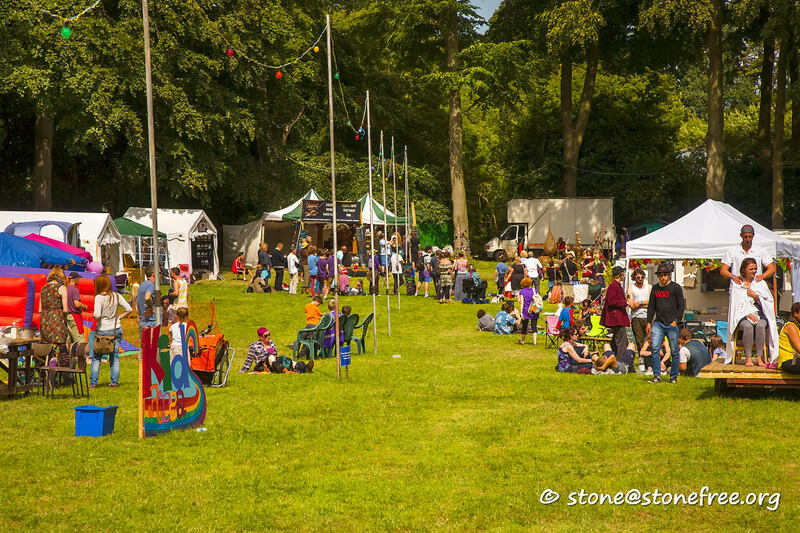 Around you the festival unfolds, workshops and music, stalls to browse and many faces to share a smile with. The main field is a favourite place to spend a bit of time. On sunny days the Misfits will run activities and workshops on the grass. Here is where the Gr8 Parade begins. Here is where you come to join in with the game of tig. Here is where you find many of the stalls. Here is a place to enjoy the sun and trees. Here is a place to dance and be free. From here you find the Cider and Pimms Bar that also sells ice creams. Here is where you can join in with the paint fight on Sunday afternoon. See you in the field in the Summer.